Collins Booksellers - 100 Cases in Surgery, Second Edition by Gossage, James, 9781444174281. Buy this book online. 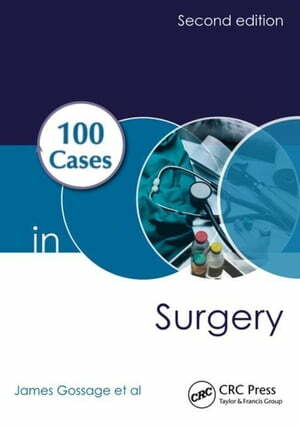 100 Cases in Surgery presents 100 scenarios requiring surgical treatment commonly seen by medical students and junior doctors in the emergency department or outpatient clinic. A succinct summary of the patient's history, examination, and initial investigations-including photographs where relevant-is followed by questions on the diagnosis and management of each case. The answer includes a detailed discussion on each topic, with further illustration where appropriate, providing an essential revision aid as well as a practical guide for students and junior doctors.